blog home Burn Injury Who’s Responsible for a Downed Power Line in San Diego? Power lines made the headlines a lot in 2018, especially in California, and the news was rarely positive. Southern California Edison admitted its equipment sparked the Thomas Fire in 2017, which resulted in more than 280,000 burnt acres, over 1,000 buildings destroyed, and two fatalities in Ventura and Santa Barbara. Several other recent fires are suspected to have started because of faulty or downed power lines. When power lines are knocked down, whether due to storms, high winds, or other mishaps, they can pose a serious hazard to homes, people, and vehicles in the vicinity. With the recent rainfall in Southern California, people are once again asking who’s responsible for cleaning up downed wires. Most importantly, if you or a loved one is hurt because of fallen power lines, can you be compensated for your injuries? The personal injury team at Jurewitz Law Group has the answer to these questions and more. Contact us today at (888) 233-5020. Power lines can be found above most neighborhoods in California, along roads and highways, and near homes. If you see a damaged electrical cable, you should stay clear. Do not touch it. You should always assume the cable is energized and highly dangerous. If another person or animal has come into contact with the line, do not touch it either. Instead, move away and call 911. Let them know there is a fallen power line and what your location is. Only a trained electrical worker should attempt to rescue someone entangled in power cables. If your vehicle gets hit by overhead lines, you should sit calmly, call 911, and wait for help. If anyone approaches, warn them to stay away from the downed power line. In an emergency, such as if the vehicle is on fire, open the door or window and jump out as far from the vehicle as you can. It’s important not to touch the vehicle and the ground at the same time, as this will create a path for electricity to pass through you. At home, remain clear of any power lines and don’t touch them. Keep any machinery or other equipment at least ten feet away from overhead lines, including metal ladders. If the lines will be in the way of your work, it might be possible to contact your utility provider and have the electricity shut off temporarily. Electrocution is the term used when an electric shock results in instant death. Who Can Be Held Liable for Electrical Injuries? Electrical lines are constructed and maintained by a public works department or utility company, depending on the contract. When an accident occurs with a city-owned power line in San Diego, it generally needs to be resolved by the Risk Management Department, Public Liability and Loss Recovery Division. The process begins with an investigation. The division is responsible for looking into the veracity of claims and making settlements with the victims. The division is also in charge of purchasing insurance policies to cover injuries the city may end up being liable for. In addition to power lines, the division would be responsible for accidents with city vehicles, broken water mains, broken sewer lines, and trip-and-falls on public property. According to the website, “Any claim against the City must be made in writing and be completed in accordance with California Government Code sections 900-915.4.” There is a statute of limitations when it comes to government liability, and you should act immediately to ensure your claim isn’t thrown out for missing the deadline. 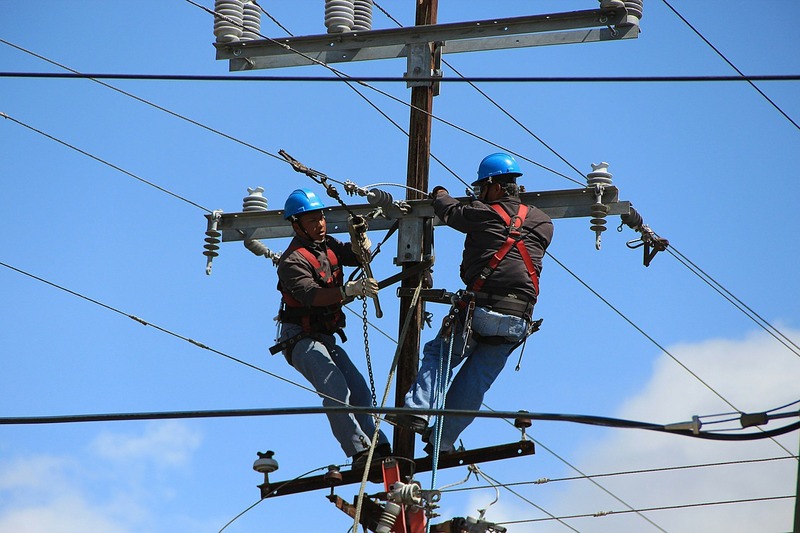 If you or a loved one has been injured by downed power lines, the best course of action is to reach out to an experienced San Diego premises liability attorney. Jurewitz Law Group has a proven track record of success representing Southern California victims. Call today at (888) 233-5020 to learn more.